In a massive blow to three, four star and lower level bar owners in Kerala, the Supreme Court today upheld the state government's new liquor policy to confine bar license to only 27 five star bars in the state. "Appeals are dismissed. The judgment of the division bench of Kerala High Court is upheld", a bench of Justices Vikramajit Sen and Shiva Kirti Singh said in a court packed with media personnel, mostly of electronic and print from Kerala where it is a burning issue. "It initially did not occur to me but after my brother judge insisted we have also made some provisions for employees and workers who lost their job" justice Sen said dismissing the appeals filed by bar owners. They challenged the March order of a division bench upholding the policy. A single bench of the HC had before that ordered state to grant liqour permits to Four star and heritage hotels too against which the state went in appeal and emerged victorious. He assured that the judgment will be uploaded on the supreme court website soon. The court had on September 27 reserved its verdict after hearing Senior lawyer Kapil Sibal who appeared for the state, and strongly defended the policy , and eminent lawyers Harish Salve,Mukul Rohatgi and Aryama Sundaram who represented bar owners. Justice Sen had initially picked holes in the policy of Kerala, which aims to gradually impose prohibition, to confine liquor licences to just the 26 five star hotels in the state. All the three and four-star bars have been asked by the state to convert into wine and beer parlours. Hurling questions towards Kapil Sibal the bench had asked: “We are told that liquor is still easily available in beverage shops. Mini refrigerators and mini bars in hotel rooms fall within the state’s tourism policy. 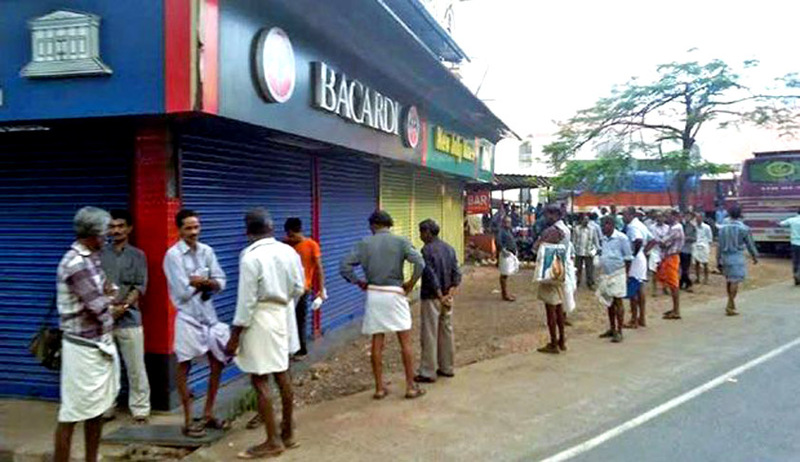 What makes you think that liquor prohibition in Kerala will be successful? Also, why should we try a policy that has failed over and over again across various states?" The bench, which was hearing the petition filed by bar owners who have challenged the ‘discriminatory policy’, further pointed out during the hearing: “Tobacco consumption in any form is bad. Has it been medically proven that alcohol consumption in small portions is bad? However, the court made it clear that it cannot direct the state to grant liquor licenses to a certain category of hotels – it can either uphold or strike down the policy entirely." But Sibal seemed to have largely convinced the bench about the rationale behind the liquor policy. Download the Judgment from here.